The minutes for the monthly Civic Association Board/General meeting for April 9, 2018 have been posted and may be found under the VAHI – Meeting Minutes tab or click here. The agenda for the May 14 General and Board Meeting of the Virginia-Highland Civic Association has been published please click here to view. The public is invited to attend. A Forum on Homelessness in Atlanta with an emphasis on Council District 6. Speakers will bring information about homelessness, the legal ramifications connected to the issue, and community and NGO resources in place to help those without shelter. VHCA has been working with a professional planning consultant and a land use/zoning attorney for years on the potential development of 10th Street and Monroe. These professionals have over 40 years combined experience on land use and zoning issues and will be a critical component of challenging the proposed rezoning of single-family land and this out-of-scale development. VHCA will review these issues and the most effective way to respond to them in a meeting open to all at the Virginia-Highland Church on Thursday, April 19, at 7:00PM. We will provide an update on plans, listen to concerns and alternate approaches and will speak about process, strategy, next steps and how the neighborhood can assist and engage, both financially and in other ways. Location is Virginia-Highland Church, 743 Virginia Ave. 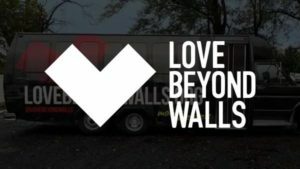 Please join Neighbors Organizing for Progress and Equity (NOPE), along with Terence Lester, the Starter/Executive Director of Love Beyond Walls, for the screening of Voiceless: A Documentary on Systemic Poverty. What is the poverty crisis and how does it affect my life? Voiceless: A Documentary on Systemic Poverty examines the poverty crisis and gives a first-hand account on what it looks like to be poor in the U.S. As Terence walks from Atlanta, Georgia to Washington D.C. to raise awareness for this issue, he interviews experts and those experiencing poverty themselves. The film will leave the viewer changed with a question of how they can make a difference. The proposed development at 10th Street and Monroe has generated significant concern from the community. 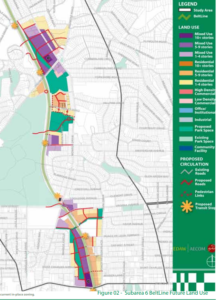 This article provides an overview of the proposal, the public input process published by the developer and Atlanta BeltLine Inc. (ABI), and key issues related to the proposed development. The Virginia-Highland Civic Association (VHCA) will be hosting a public meeting at 7:00PM on Thursday, April 19th at The Virginia-Highland Church (743 Virginia Avenue) regarding this proposed development and next steps. The area for the proposed development is the southwest block at Monroe and Cresthill (see map below). Jim Kegley, a partner in 10th and Monroe, LLC, is part of a joint venture that owns the commercial properties marked C1 below and all single family homes marked R4 below other than 565 Cresthill. Invest Atlanta (IA), the City of Atlanta’s Development Authority, voted to enter into a Memorandum of Understanding (MOU) for the purchase of the BeltLine land with Kegley/Fuqua at the December 19, 2017 IA meeting. Little notice was provided about the IA vote, and the actual vote was conducted in Executive Session and not open to the public. Although VHCA only received 48 hours’ notice of the impending vote, several VHCA Board and Planning Committee members, as well as NPU officers, attended the Invest Atlanta meeting to object to the vote and the proposed development. VHCA also submitted a letter objecting to the Invest Atlanta vote and proposed development (see VHCA article and letter to Invest Atlanta). Following the community engagement process, the development team will go through the formal rezoning process. The process is outlined below. 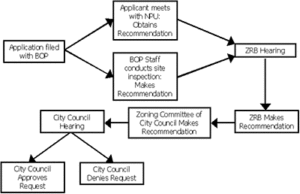 NPU-F requires that rezonings go to the NPU-F Zoning Committee first, then to the neighborhood where the project is located, and then to the full NPU-F meeting. Zoning Review Board (ZRB) – This body consists of nine members, appointed by the Mayor and City Council, who meet twice a month to consider property rezonings and special use permits. The Zoning Review Board takes into consideration the recommendations of the relevant Neighborhood Planning Unit and the Office of Planning staff and makes recommendations on rezonings to the Zoning Committee of City Council. Office of Zoning and Development – This office is responsible for interpreting and enforcing the zoning ordinance. The Zoning Division checks all building permits for compliance with the zoning ordinance and conducts research to verify the zoning classification for a given property. 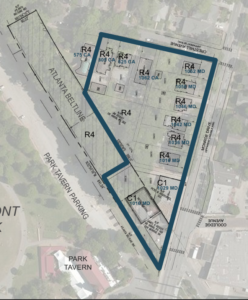 This proposed development would require both a land use and zoning change to the parcels that are R4/single family, including the 9 existing single-family homes on Monroe and Cresthill. Any planning ‘logic’ that accepts tearing down single-family homes in one area can be applied just as easily to other areas in Virginia-Highland and along the BeltLine as a whole. If the west side of Monroe and the south side of Cresthill are rezoned, it will set a precedent for rezoning other single-family land in Virginia-Highland and along other parts of the BeltLine. Keeping existing single-family streets (and Monroe itself) as single-family housing is a critical goal. Both VHCA and NPU-F have devoted significant formal planning efforts on these topics in the city’s official plan for the area (the Comprehensive Development Plan, or CDP.) In addition, the BeltLine Subarea Plans says that “protecting existing single family neighborhoods” adjacent to the BeltLine is a critical goal of the BeltLine (see pg. 3/pdf pg. 21). Unlike the Kegley/Fuqua land at 10th and Monroe, which has not been designated for increased density in the BeltLine Subarea 6 Plan or any other City plan, increased density has been planned for other parcels along the BeltLine in Virginia-Highland and Morningside. The BeltLine Subarea 6 Master Plan shows the areas along the BeltLine from Ponce to the Interstate (Subarea 6) that have been designated for increased density. The map on pg. 6 shows all of the areas along the Subarea 6 portion of the BeltLine that have land use and zoning already in place to allow for increased density (in Virginia-Highland, it’s the Ponce Place corridor and the area where the storage facility is located on the east side of 10th and Monroe). The areas in brown along the BeltLine have been designated for Medium Density and High Density residential. 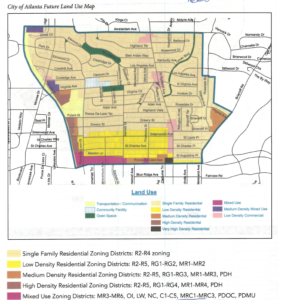 The area in bright yellow has a land use designation of “low density residential” and is zoned “RG-2,” so this area will accommodate increased density without any changes to land use and zoning. In accordance with Atlanta BeltLine policy – reaffirmed again in a meeting with the developer in February, 2018 – affordable housing can be built at the area of 10th and Monroe without removing any existing single-family housing at this or any other site along the BeltLine. 10th and Monroe is one of the most dangerous intersections in the City of Atlanta. Two people were killed in a single quarter-mile section of the street in Virginia-Highland in the last few years and countless auto accidents have occured in a short half-mile stretch of Monroe. 10th and Monroe serves the BeltLine, Piedmont Park and Grady High School and has significant bike, pedestrian and car traffic. This extraordinarily complicated intersection poses significant challenges; increasing the volume of traffic in all types (pedestrian, cyclist, vehicular) is extremely problematic without significant modifications. “Buildings should also defer to the scale of adjacent single-family neighborhoods by decreasing in height and mass as the proximity increases. A transitional height plane is recommended for all places where new development on the BeltLine approaches existing neighborhoods.” Chapter 6, pg. 13). “Buildings should not exceed 52 feet in height within 150 feet of single-family neighborhoods, and should step down in height corresponding to a 45 degree plan extending from 15 feet above the adjacent property line.” (Chapter 7, pg. 16). The proposed Kegley/Fuqua development contradicts all of these principles. 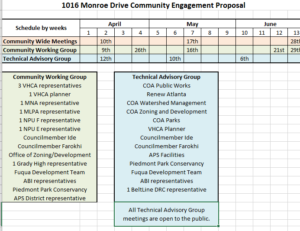 There are many other issues raised related to this development that were raised at the Community Engagement meeting at Grady High School on April 10, 2018: green space, preservation of trees, route of future transit, capacity issues in the Grady cluster, location of transit stops, overshadowing Piedmont Park and comparison of other land purchases along the BeltLine and surrounding Piedmont Park to name a few. Representative Cannon’s recap of this year’s legislative session and the State of Georgia’s FY2019 budget. Are you are the parent of a rising kindergartener (starting school this fall)? Check out the links below for registration and information on getting your child enrolled at either Springdale Park or Morningside Elementary. to the loss of old trees and so much new construction. Trees planted by residents in their yards are important in helping maintain our tree canopy, creating a healthier environment for all of us including the wildlife that calls Virginia-Highland home. side and/or back yard trees. District 6 Council Member Jennifer Ide has informed the Virginia-Highland Civic Association that she and her staff are organizing a community meeting open to all interested parties on the topic of homelessness/unhoused residents. Representatives from the City’s Office of Continuum of Care, Intown Collaborative Ministries, the Atlanta Police Department, the Solicitor and Public Defenders Office, The River at Virginia-Highland Church, mental health resources and other resources have been invited to an educational discussion to learn the facts about the laws, what the City is doing/has done since the closure of the Peachtree-Pine shelter, and what resources there are from the city as well as from non-profit groups to provide assistance. The meeting will be held on Tuesday, April 24th at 6pm at the Virginia-Highland Church, 743 Virginia Avenue NE. Be a part of the biggest event of the year! As a resident of Virginia-Highland, you no doubt know that Summerfest is the largest fundraiser benefiting our neighborhood. Proceeds from the festival go directly to maintain, beautify and improve the safety of our community. Summerfest is also one of Atlanta’s oldest and most prestigious art and music festivals. We need your help to keep it that way. With the growing popularity of neighboring communities and the oversaturation of festivals and weekly road races, it gets tougher and tougher to stand out from the crowd. It’s essential that we do and it’s our volunteers that can make that happen. Summerfest Parade – it’s going to be SUPER! Kidsfest – it’s not just for kids anymore. Double the fun by signing up to volunteer with friends and family. Volunteers do not need to be residents of our neighborhood…the more the merrier. And don’t forget, all volunteers receive one of the coveted commemorative Summerfest t-shirts. Thank you for volunteering and being a part of an Atlanta tradition. Summerfest is right around the corner and this year is shaping up to be the best Summerfest yet! We’ve brought back all of the favorites like top artists and fun cover bands for the music stage at the triangle, and lots of new things, including an expanded local market, adult big wheel races, a petting zoo and Xtreme Airballs for Kidsfest, and a few other surprises as well. Everything kicks off Friday, June 8th with the Summerfest parade. This year’s theme is Super Heroes so kids (and adults!) can show off their super hero powers in their favorite super hero costumes. After the parade, we’ll have the Community Dinner for VaHi residents in John Howell Park followed by a showing of Guardians of the Galaxy 2! The festivities continue bright and early on Saturday, June 9th with the Summerfest 5K race and tot trot. Sign-ups for the 5K, which is chip timed and a certified Peachtree Road Race qualifier, are available at https://endurancecui.active.com/event-reg/select-race?e=52227251and sign-ups for tot trot will be available at the Friday parade and community dinner and Saturday morning before the trot. Following the 5k and tot trot, we’ll have two full days of great artists and music on the stage at the triangle and the main stage at John Howell Park. The Grady High School G3 Robotics team wins the Peachtree State Championship! For the first time, Grady High School’s G3 Robotics Team won The Peachtree State Championship. The team ends state competition season with four blue banners including two qualifying tournaments wins and a qualifying Chairman’s Award. In addition, the team was honored twice with the Gracious Professionalism Award. Grady travels to Houston April 18 – 21 to compete at the FIRST World Championship. Dude, its STILL only a mile! The 8th annual running of the Morningside Mile on Sunday, March 25 attracted more than 600 registrants. The day started out cold and rainy, but almost 500 intrepid souls finished the race, which is in fact, only a mile. Additional results are posted on the website, morningsidemile.com. Runners were surprised by the t-shirts that sported the new name for the race—while the logo featured the iconic tag line, “Dude, it’s only a mile,” the name has been changed to the N. Highland Mile to draw attention to the race’s purpose. Racers, spectators, and volunteers all enjoyed the activities at the Block Party. Face painting and balloon animals from Bubbles the clown, corn hole and giant soap bubbles from The Wish List, and making leashes from re-purposed climbing rope and learning about pet rescue from the Atlanta Rescue Dog Cafe. The most spectacular activity was racing adult big wheels, thanks to Atlanta’s Adult Big Wheel Club. Live music, DJ Tron, and Doc Chey’s noodle eating contest also entertained the crowd. The addition of a live band was a big hit with My Friend Ian’s Band taking the crowd on a walk through the 70s, 80s, and 90s. Historically the commercial corridor along N. Highland was the lifeblood of our neighborhoods with vibrant restaurants, retail, and services catering to both residents and visitors from all over the city. In recent years, as new landmarks have been created along the beltline, N. Highland’s popularity has been eclipsed—MLPA and VHCA are working to bring resources and attention back to the heart of our communities. This first race and block party put us well on our way, raising funds that will go back into our neighborhood. Besides the runners, the volunteers that gave so generously of their time were also recognized for their efforts. Besides receiving some of the coveted t-shirts, they were entered into a drawing for door prizes. Congratulations to Gigi, Anguelyca, and Devon, the winners of the door prizes! City Club. Please thank the businesses that support our neighborhood by visiting them often. All residents of Virginia-Highland are invited and encouraged to attend the first community meeting regarding the development of the north-west corner of 10th and Monroe. 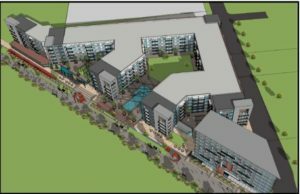 Initial reports have indicated that Fuqua Development is proposing an 11-story hotel, grocery store, town homes and several hundred apartment units reaching from 10th street to Cresthill and between the Beltline and Monroe. Please plan to attend the meeting and share your concerns, feedback and questions about the proposal, community engagement and project timeline. The minutes for the monthly Civic Association Board/General meeting for February 13, 2017 have been posted and may be found under the VAHI – Meeting Minutes tab or click here. Lance Orchid from Councilmember Jennifer Ide’s office met with the Program Managers for Districts 6 (ours) & 2 today where they said they have set up time for them to speak to any potential applicants next week on March 26 at the Ponce Library from 11:30 AM until 4:00 PM. They will be there again on the 27th but we don’t yet know the hours. They told us that they would be willing to go to people’s houses directly as well. If anyone feels that there are streets they should canvass, please let me know what they are and I can make sure they do that too.